Ask the Expert…What are somethings I should know about my Homeowners Insurance Policy? Restoration Contractors often hear customer’s frustrations regarding their Homeowners Insurance Policy. More specifically, Estimators and Repair Managers at ARS Cleanup report customer confusion regarding what their policy does and doesn’t cover. Unfortunately, Restoration Contractors cannot change the Insurance Industry to cover all the costs associated with a disaster. However, the experts at ARS Cleanup have compiled a few tidbits to help homeowners better understand their Homeowners Insurance Policy. Review your Insurance Policy yearly. Meet with your Insurance Agent yearly to guarantee you have adequate coverage to in regards to the structure of your home. Remember, what you paid for your home 20 years ago is vastly different than what it would cost to rebuild your home today. Examine the materials used to build your home. Ensure you have adequate amounts of coverage to replace like quality with the same materials. Homeowners should ask their Agent whether or not they can add to a Backup of Sewer and Drain endorsement. A sewer flood is rarely covered by Homeowners Insurance Policies. When significant damage occurs in a home, systems including HVAC, plumbing, and/or electrical may need to be entirely replaced. City Building Inspectors require homes with extensive construction to be brought up to code following a disaster. Consider adding an Ordinance or Law Endorsement which pays a specified amount for the additional cost of Code Updates. 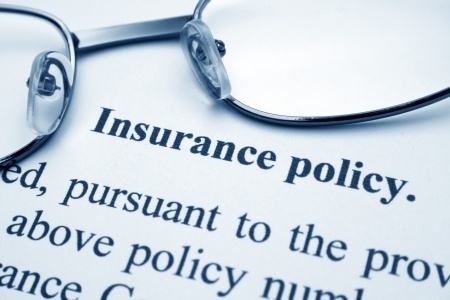 Most Insurance Policies provide coverage for personal possessions. When reviewing your coverage, examine your policy to learn if you have Replacement or Actual Cash Value. Replacement covers the cost of replacing a damaged item with a new item of similar quality without depreciation or deduction. Actual Cash Value gives you what the item would cost if you were to sell it today. For more expensive items like firearms, jewelry, silverware, or furs, consider an endorsement or floater policy to your homeowners insurance. A standard policy typically has a $1k-2K limit for jewelry. Regardless of what coverage you have, it’s important to take inventory of your home on a yearly basis. ARS Cleanup recommends documenting each item worth over $500 in your home. In addition to documentation, take detailed pictures of each room and closet with their contents. By doing this, it will save a lot of frustration during the event of a disater. Standard Homeowners Policies typically cover damages caused by fires, hail, lightning, explosions, and theft. Most DO NOT cover flooding, earthquakes, backup of sewer and drains, or damage caused by negligence. In the next blog post, experts from ARS Cleanup will go over addition living expenses following a disaster, liability to others, and Umbrella Policies.